I have spoken with buyers, sellers or real estate agents that were told by co-op board members their sale may not be approved by the board because the resulting “price per share” of the sale (purchase price/apartment shares) is less than a prior similar sale in the building. Here are some thoughts about co-op boards who try to “protect” shareholder values by preventing transactions. Co-op boards wield a lot of power over a sale within their building. In a research study I coauthored that was published by NYU Furman Center for Real Estate and Urban Policy with Michael H. Schill and Ioan Voicu called The Condominium v. Cooperative Puzzle: An Empirical Analysis of Housing in New York City found that there was an inherent cost of a co-op board’s power over their shareholders, unlike the relationship between a condo association and their respective unit owners. It is important to note that market forces are far more powerful than a co-op boards intention to “protect” the market within their building. Much of this gateway mentality stems from the legacy of no public record for co-op sales prior to 2003 (made public record in 2006, but retroactive to 2003). When a co-op overextends it reach and stops a sale because the price is considered too low – often because it falls short of a recent similar apartment’s sales price – the co-op board is doing a disservice to their shareholders, despite best intentions. Why? The decline of a transaction where the listing was properly exposed to the market creates a public perception that the board is disconnected from the market. Brokers are less likely to bring buyers to listings within such a building in the future. Less market exposure for listings in the building means fewer potential buyers and ultimately a lower achievable sales price. Housing markets do not always rise. This was made clear during the housing bubble and bust cycle a decade ago. The mindset of requiring a current sale to be higher than the last highest similar sale would prevent any sale from occurring when a market is flat or falling. This taints the building in the market and would make values fall much harder in a down cycle once the board capitulated. This would serve as a significant miscarriage of board power during such a cycle. I saw a lot of this circa 2009 after Lehman collapsed. A board would consistently nullify deals on a specific listing that was properly exposed to the market. By the time the third market vetted contract was signed at about the same price, the seller would give up and be possibly exposed to significant financial hardship. And since many co-ops are restrictive about a temporary rental scenario, the seller would be unable to rent the apartment after they moved out. One of a few valuation remnants of the past includes a co-op board valuing a current contract sale on a price per share basis. This is a “shotgun” approach to determining a reasonable market value and is at best case, a broad brushstroke approach that is not suitable for an individual apartment valuation. Valuing by share allocation does not reflect the fair market value. When the sales price per share is consistent with a building average or trend, it is simply coincidence within a wide bandwidth of price probabilities. Such a price per share valuation philosophy would appear to violate the board’s fiduciary responsibility to protect its shareholders by penalizing them for a share allocation perhaps done decades or even a century ago. There is no science to the original allocation of co-op shares and the patterns are often fraught with inconsistencies. For example, the perception of value for a certain exposure in the building may be different today than it was in 1927. A buyer doesn’t look at a per share valuation in a building as market value for guidance – they never have. They look at competing properties in the market surrounding the property. Incidentally all of those co-ops with competing listings likely had different rationale for their respective allocations when they were built or converted. Investor value can be mistaken for market value. In the case of the co-op board judging an adequate sales price based on the price per share within the building is known as investor value. It is the value to them, not the value to the market. This is why sellers can be so disconnected from the market when setting their asking price. A seller might think that a purple formica entertainment center in the living is worth another $50 thousand to a buyer when the buyer is thinking it is worth minus $2 thousand for the cost to remove it. Co-op boards are responsible to protect the interests of their shareholders but they can confuse that with market value. 1. Prospective buyers and sellers are reasonably knowledgeable about the asset; they are behaving in their own best interests and are free of undue pressure to trade. 2. A reasonable time period is given for the transaction to be completed. On the last day of 2015 I was invited to guest host for the 6am hour on Bloomberg TV’s Surveillance with Mike McKee, Vonnie Quinn & Erik Schatzker. I was paired with Michael Holland, Chairman at Holland & Co. I’ve never met him before but really enjoyed his insights on the stock market. 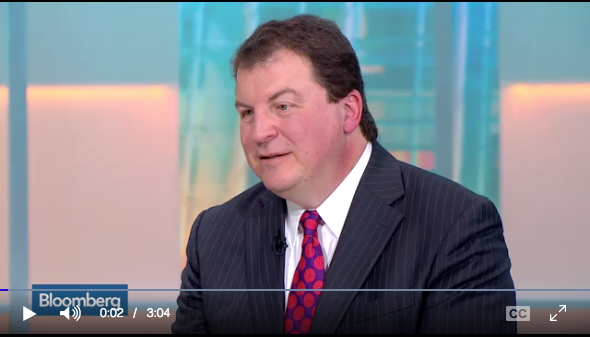 The first segment was largely stock market talk which was out of my bailiwick but in the second segment I got to articulate my views on the New York City super luxury market. Today’s Max Frankel New York Times editorial was brought up – “Make Them Pay For Views” – which I thought was a ridiculous premise – despite the legendary author. And a second segment talking about professional services used for acquiring assets. Gotta go. The Spartans are playing in the Cotton Bowl now. Over the past few days I’ve been sent this blog post by a number of real estate appraisers who are upset with its derogatory reference to our profession. It was written by Dean Graziosi in the Huffington Post guest blogger section. I’ve never heard of him but perhaps that’s because I’m not a real estate agent. If you insert the word “scam” in your google search, there are a lot of additional insights that come up. 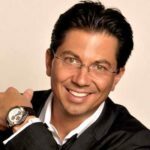 His Huffpost bio and web site indicates he is a NY Times Best Selling Author along with one of the top personal motivation and real estate trainers in the world. I also learned from his bio that he is a multi-millionaire, a guru in the personal motivation sector and cares deeply about his students. Translation: He basically teaches real estate agents how to sell. Good. While it’s not my thing, I’m happy for Dean’s success (notice how his watch is strategically placed within his Facebook head shot as an indirect confirmation of his success) assuming no one was hurt. However as a public figure (as indicated on his Facebook page with 340K+ likes), Dean has a responsibility to convey information accurately to his students if he does indeed care. Graziosi frames the current housing market as equal to the bubble’s peak but doesn’t accurately describe what that means. Graziosi frames the real estate appraiser as something other than a real estate professional while the real estate agent is a professional. 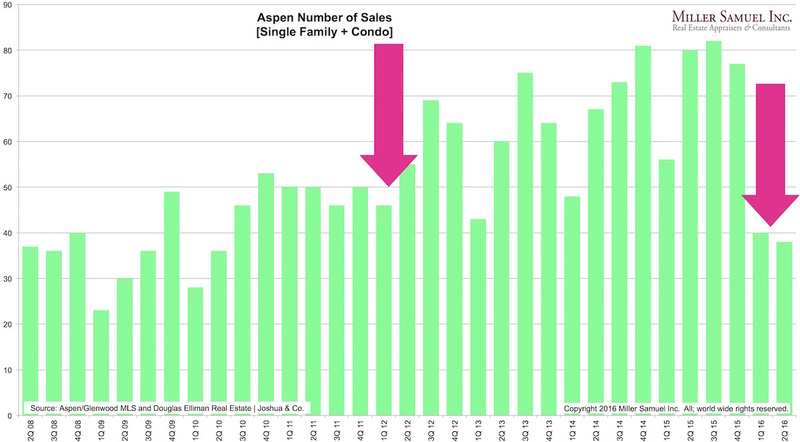 First, and most important, it requires repeat sales of homes, so if there aren’t huge numbers of sales, then we’re looking at a number derived from a small set of sales data. So, we’re not necessarily seeing an excited bunch of buyers flocking to the market. 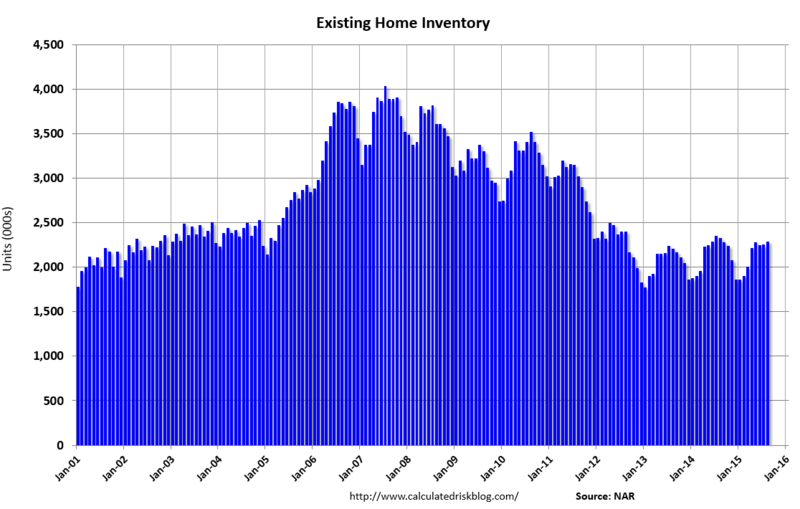 We are seeing a whole lot of homeowners who aren’t selling, waiting for rising values. So, we have a small inventory and competition for it. The problem here is that there are a lot of sales outside of FHFA data – and FHFA only tracks mortgages that go through Fannie and Freddie. Roughly 30% of home sales are cash and another 5-10% of them are jumbo loans, too large to be purchased by the former GSEs – so they don’t get included. FHFA also excludes new construction. 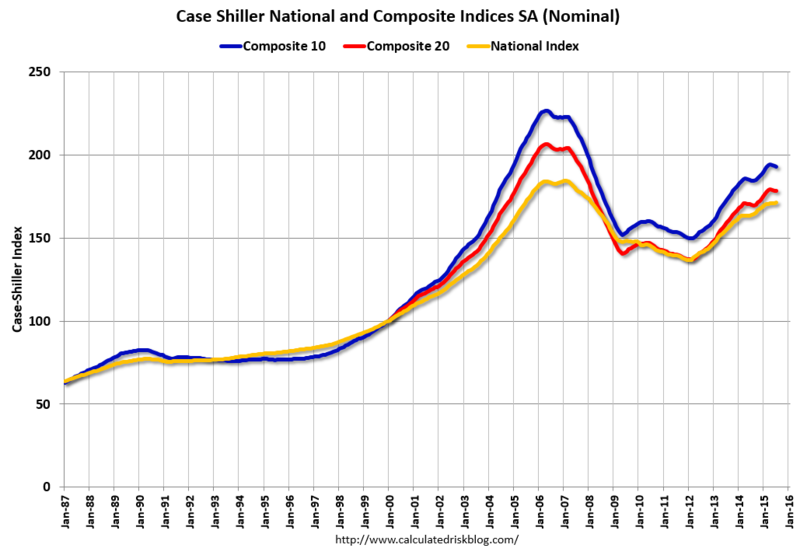 The Case Shiller index is also a repeat sales index like FHFA but shows a different price point for the current market because it includes transactions outside of the GSE world. If we look at the number of sales, which is the key point he makes, sales activity is low because we’re not necessarily seeing an excited bunch of buyers flocking to the market. 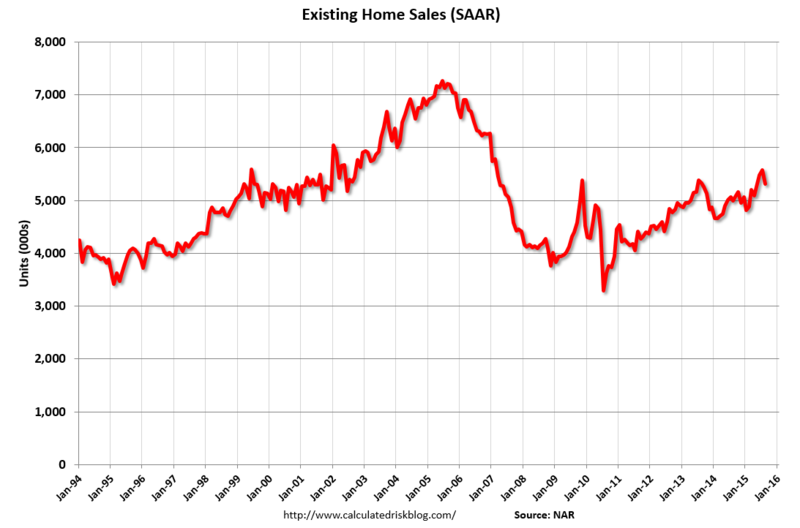 But in reality, home sales are not low and they have been rising for 4 years. Of course sales are not at pre-crash highs because those highs were created largely by fraudulent lending practices including the unethical behavior of consumers caught up in the systemic breakdown that included nearly all particpants in the mortgage process. Graziosi is right that inventory is low, but not because buyers aren’t flocking to the market – many buyers are being held back credit access has over-corrected. Many homeowners can’t qualify for the next purchase so there is no point of listing their home for sale. 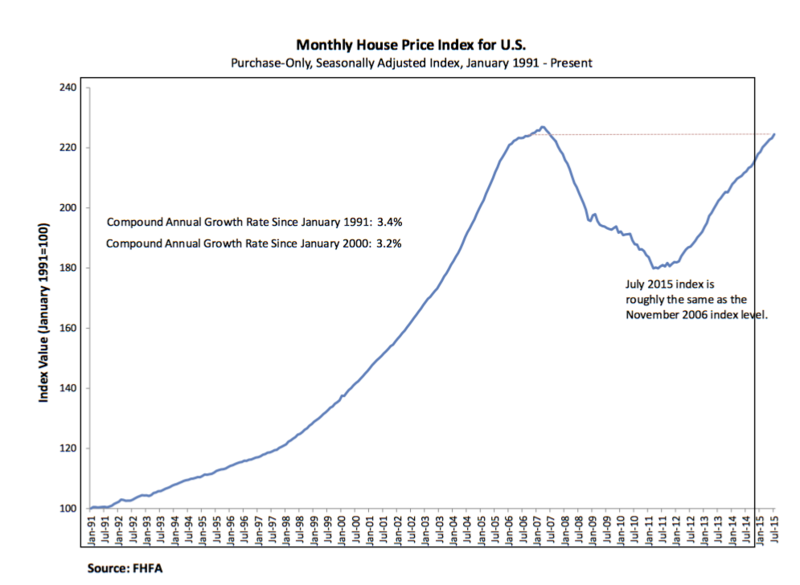 Conclusion – we are not at the pre-Lehman market peak unless you only look through the eyes off FHFA, a distorted subset of the overall housing market. I would think that real estate gurus understand this. Let’s move on to the real reason I am writing this post. Don’t call an appraiser, as their approach to market value is different than that of a real estate professional. The real estate agent is trying to get you a sold price near to the top of the market, and their CMA, Comparative Market Analysis, is going to give you a pretty good idea of its value. There is so much to talk about within these two sentences I’m not sure where to begin. It’s mindbogglingly simplistic, misleading and uninformed. Perhaps this is how he makes his students motivated? To meet the IRS requirements, you need two things: spend the majority of your working time spent performing qualified real estate activities (regardless of what you do), and rack up at least 750 hours. Qualified activities include “develop, redevelop, construct, reconstruct, acquire, convert, rent, operate, manage, lease or sell” real estate. Nary an appraisal-related definition within that list. The problem with Graziosi’s communication skills as a best selling author and nationally renowned real estate guru who gives seminars for a living to communicate to his students (agents) how to succeed is – if we (appraisers) are not “real estate professionals” then it is a hop, skip and a jump to suggest we are “unprofessional” as if appraisers are something less than a real estate agent. Ask any consumer if they hold real estate agents in higher regard than real estate appraisers? In my view both industries don’t have sterling legacies but one isn’t more professional than another. Remember that he is used to speaking to his students who are real estate agents, the kind that sign up for this type of course. Promote BPOs and help agents get more listings – has got to be his recurring mantra. The second issue with his quote concerning an appraiser’s value opinions – “their approach to market value is different” than a real estate agent. Providing an opinion of market value is likely the intention of both. Most real estate agents are hoping to get the listing and the appraiser is not incentivized by the home’s future sale. The agent may be the most knowledgeable person in the local market but there is an inherent potential conflict. Graziosi suggests that the broker will give you a price you want to hear. However I do like his idea of getting three broker opinions – that’s a very common practice – nothing new there. Ironically both an agent and an appraiser are looking at closed sales, contracts and listings but the appraiser doesn’t have an inherent conflict. They aren’t going to get the listing no matter how accurate their value opinion proves to be. One problem with today’s appraiser stereotype as this column brings out indirectly, is that bank appraisers now generally work for appraisal management companies (probably about 90%) and the best appraisers tend to avoid or perform minimal AMC work because they can’t work for half the market rate. As a result, good appraisers aren’t necessarily known as well by the brokerage community as in years passed unless they get in front of the brokerage community in other ways, like giving seminars, public speaking, etc. Competent brokers within a market will know who the competent appraisers are. There are unprofessional professionals in every industry – doctors, lawyers, deepwater diving arc welders and farmers, so please don’t make sweeping pronouncements to the contrary – especially if you are in the business of communicating information to “real estate professionals”. As I’ve walked through this response, I realized that the silly advice blog post in the Huffington Post by an infomercial guy did what it intended, stir up conversations of any type to get his name out there when his actual content was devoid of useful information. There is a great post I stumbled on the industry of motivational speakers: Real Estate B.S. Artist Detection Checklist. Worth a read. Looks like I’m never going to be a multi-millionaire wearing a huge watch strategically placed in my head shot. If you notice my own head shot in the righthand column, my watch is very small. Everyone in every business falls under some measure of accountability. Certainly appraisers must also be accountable to their customer. The customer is the homeowner, not the AMC. The appraiser’s client in the mortgage appraisal situation you describe is not the homeowner. The AMC is acting as an agent for the lender in order to for the lender to make an informed decision on the collateral (of course that’s only a concept). The appraiser is working for the AMC (who works for the lender) and not for your homeowner. Your logic from the housing bubble still sits with you today. Yes I agree that the quality of AMC appraisals for banks generally stinks, but blame the banks for that, not the appraisers. Quality issues don’t change who the appraiser is working for. AMCs do internal reviews and make ‘good’ appraiser’s lives a living hell for half the prevailing market rate loaded with silly review questions by 19 year olds chewing gum to justify their own institution’s reason for existence. No wonder you are frustrated with appraisers from AMCs. ‘Good’ appraisal firms like mine avoid working for AMCs whenever possible. Yes I would be frustrated as a mortgage broker today because your industry got used to using appraisers as “deal enablers” during the bubble and nothing more. I contend that the current mortgage process post-Dodd Frank is clearly terrible and AMCs are a big part of the problem. ASIDE This new era of online journalism for print stalwarts like the “Santa Fe New Mexican” and new versions like the “HuffPost” rely on filler-like the above 2 articles discussed here. Very sad. I was recently approached by Bloomberg View, the editorial arm of Bloomberg LP, to provide commentary on the housing market. I seem to be in good company. Although their well oiled machine began to append my additional title “Bloomberg Contributor” earlier in the month when being sourced, it wasn’t an oversight on their part. I didn’t submit my first post until last week. It took me a few weeks to get my groove on as I was in the midst of a 2Q14 market report release gauntlet. Last Wednesday evening I wrote my first post about Lawrence Yun’s attendance at the Zillow Housing Forum and how NAR had become just one of the crowd, and the symbolism of it all. I got the idea when I was sent the Zillow e-vite to attend the conference and I noticed that Yun was to speak. Excited, I submitted my first post on Thursday morning, unfortunately just before the Zillow-Trulia bombshell deal jumped into the headlines. So I needed to add this new twist – which thankfully made my original point even stronger. I re-wrote my first post and it was placed online last Friday. 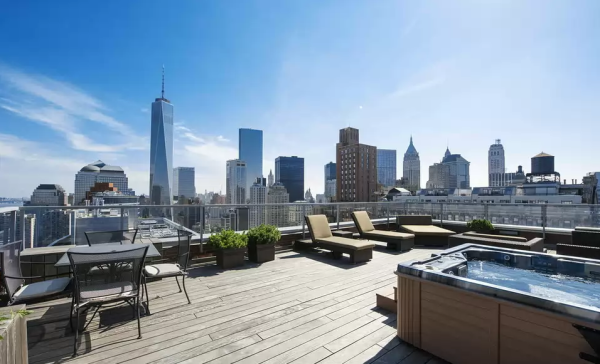 A little over a week ago the WSJ’s Candace Taylor broke the story about 3 contiguous listings to be marketed together at the top of a 15-year old ground lease condo in Battery Park City for $118,500,000. At 15,434 square feet, that works out to $7,678 per square foot. 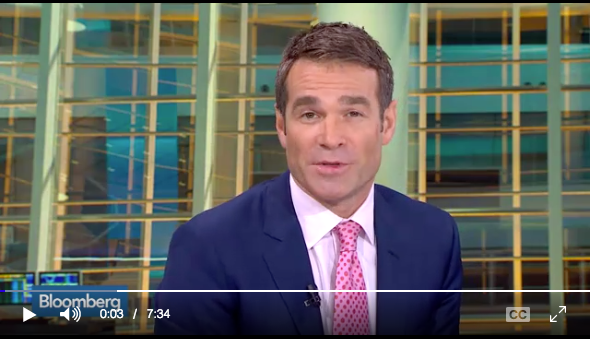 CNBC’s Robert Frank provides more details in a video tour that was broadcast shortly after the story broke. $56,500,000 ($7,406/sqft) listing – 7,628 sqft 5-bed listed last year for 5 days and removed. 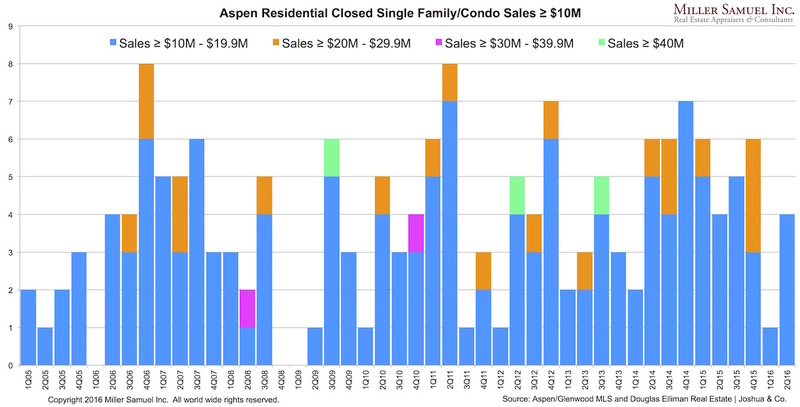 $11,700,000 ($3,330/sqft) purchase – 3,513 3-bed in April 2014. $19,000,000 ($4,425/sqft) listing – 4,293 sqft 4-bed $23M January listing dropped to $19M, then removed. $87,200,000 is the aggregate total for the 3 units that total 15,434 square feet ($5,640/sqft). 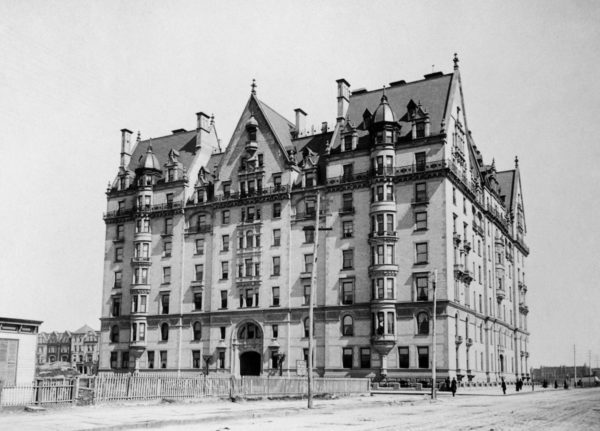 The current list price of $118,500,000 represents a $31,300,000 premium for the combination of all 3 units before we might assume the millions in renovations to combine if you believe that the $87,200,000 total is what aggregate of the individual properties are worth. Given the $3,330 ppsf recent sales price of the 3-bed and the unable to be sold for $4,293 ppsf after 6 months on market 4-bed and the not-market tested 5 day listing period 5-bed at $7,406, I can’t figure out how the listing agent gets to $7,678 ppsf as an asking price for all 3 together before the cost of renovation to combine? Perhaps the seller set the price. Gold Jacket: How Does The Real Estate Brokerage Industry Change Its Image? I’m not sure we needed all of the (Century 21 – style) gold jackets, 4 women to 1 (bumbling) man ratio and house pocket logo imagery to get the stereotype being portrayed in this AT&T Mobile television commercial. It is played over and over and I find it really annoying. The gold jacket stereotype has appeared in movies, ie War Games, Adam Sandler’s Happy Gilmore. This tv ad use of props to convert the stereotype is intended to insure that the viewers understand that these people are aggressive, almost cartoonish, real estate sales agents. There are plenty of sales related industries with exaggerated stereotypes like used car salesman, stock brokers and insurance salesmen (of course some would argue they are accurate portrayals). 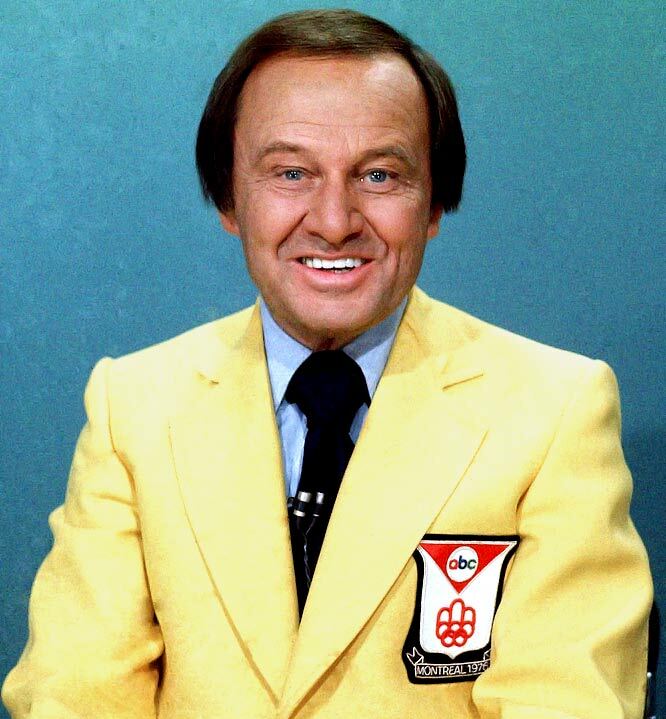 The gold jacket was a marketing idea from the 1970s designed to thwart another company’s use of red jackets. And do you remember ABC’s Wide World of Sports Blazer? Appraisers are also stereotyped as wearing polyester blazers (infers they are out of touch), carrying clipboards (most still do) and a “wheel” or tape measure. All fairly benign when compared to the C21 gold jacket. I wrote about this back in 2006 back in the early days of this Matrix blog. Century 21 ended the gold jack requirement way back in 1996 but tried to implement again in what one would argue as a failed 2008 rebranding – but the stereotype lives on. Should the real estate brokerage industry combat this portrayal? Is it too late? Does it even matter? The National Association of Real Estate Editors just held their annual conference and one of the experts was Lawrence Yun, the chief economist of the National Association of Realtors. Admittedly he has always seen the real estate world through different lenses than I so I am often thrown for a loop when I come across some of the rationale for the current state of the housing market. 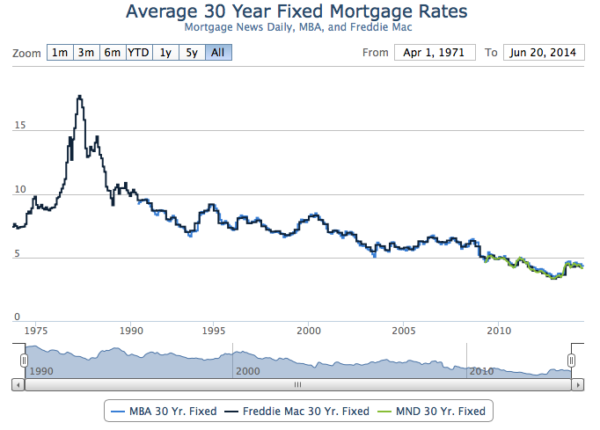 Mortgage rates reached record lows in 2012 and 2013 of around 3.3 percent for 30-year home loans. Homeowners don’t want to let go of those once-in-a-lifetime bargain mortgages, says Lawrence Yun, chief economist for the National Association of Realtors. So homeowners avoid putting their homes on the market in order to keep those low mortgage rates and that has resulted in super low inventories of home for sale. Although rates are still low (less than 5 percent) many people are opting to rent out their houses so they can hang onto great mortgages, Yun says. Yun – Home sales are not rising (year-over-year) because mortgage rates are so low that would-be sellers won’t sell. They simply love their low mortgage rate more than moving. My view – Home sales are not rising (year-over-year) because of a combination of rapidly rising home prices that reduces affordability and historically tight mortgage lending standards that resulted record low inventory. Tight credit keeps the roughly 40% of home owners with low or negative equity from selling because they don’t qualify for the next mortgage. Hence, sales fall. There is clearly way too much emphasis on mortgage rates in our housing economy. When we look at forecasting, planning, trending or anything that includes a look out over the future, I find the real estate industry (i.e. appraisers, real estate agents & brokers) generally thinks along linear lines. When housing prices rise…they will rise forever. When housing prices fall…they will fall forever. 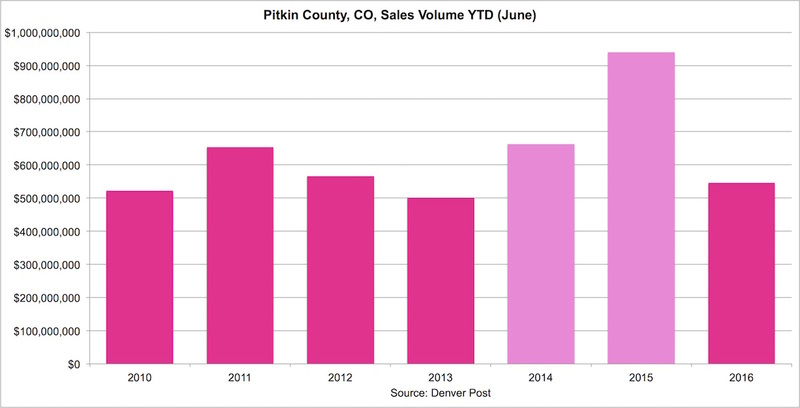 When sales activity rises…they will rise for ever. When inventory falls…it will fall forever. When rental prices rise…they will rise forever. Where does this status quo bias come from? I don’t think this bias only specific to the real estate industry – but I describe it through the industry only because it simply happens to be my area of focus. I do find that real estate professionals can be quite disconnected from the mindset of their clients when the market is at extreme points in the trend i.e. peak and trough. For example, in the dark days following the Lehman Brothers bankruptcy, I was giving a speech to a large group of New York real estate agents in October of 2008. Roughly a dozen agents approached me before and after my presentation saying they were getting offers on their listings at roughly 30% below ask, characterizing the offers as “lowball.” It was quite amazing to hear all the agents use a similar characterization of the post-Lehman market. Of course when nearly all buyers are behaving in the same manner, that becomes the new market condition. 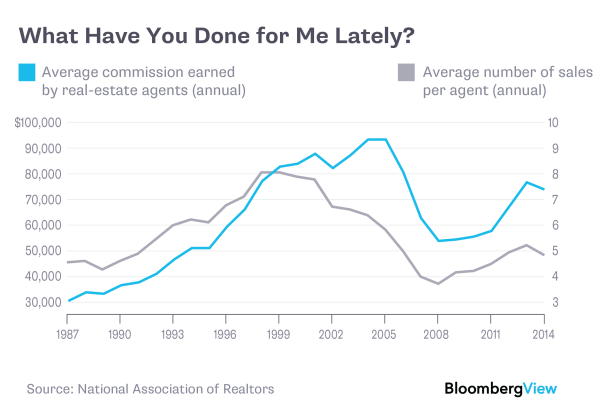 Towards the end of 2008, I found that New York real estate agents rapidly changed their view on the market as sales contract activity fell by 75% YoY. The real estate agent disconnect with the consumer was evident by the early spring of 2009 when it was apparent that buyers were not as negative in their outlook of the coming real estate year as the typical agent was. Needless to say that the market did see a significant rebound over the following year and the consumers were ultimately right. I would think this “status quo bias” behavior manifests itself more strongly in professions that are sales commission heavy, i.e. where commission incentives and generally over-the-top positive thinking are the norm and the agent tries to feel like they have some control over the impact of the market on their livelihood. Of course the real estate market could care less what anyone thinks. I was away last week, invited by the US Army to participate in a seminar at the US Army War College in Carlisle Pennsylvania after they heard me give a speech about the evolution of our company. Last week was a complete strategic immersion at the college and frankly I didn’t think a whole lot about the housing market or social media. I met an impressive group of accomplished military veterans who are furthering their careers. I also got to meet civilians like me from around the country that were also invited to participate. I gained invaluable strategic insights and friendships from this event that have made a real impact on me and how I interpret information that is presented to me. After all the housing news drama of the past month, I thought it was interesting to see the negative streak broken. Still, sales are below year ago levels after what I described as a “release of pent-up demand” that was caused by the expiration of the “fiscal cliff” and the looming rise in mortgage rates last year. All the indices NAR publishes bother me because they include seasonal adjustments and those adjustments can be very severe. The chart above has no seasonal adjustments so you can see how much adjusting has to take place to smooth out the line. I thought I’d take a look at the month-over-month data that wasn’t seasonally adjusted to see if the same pattern occurred. Yes, month-over-month pending sales rose the most since 2010 when the market was wildly skewed (higher) as a result of the First-Time Homebuyer Credit (federal first time buyer and homeowner tax credit). 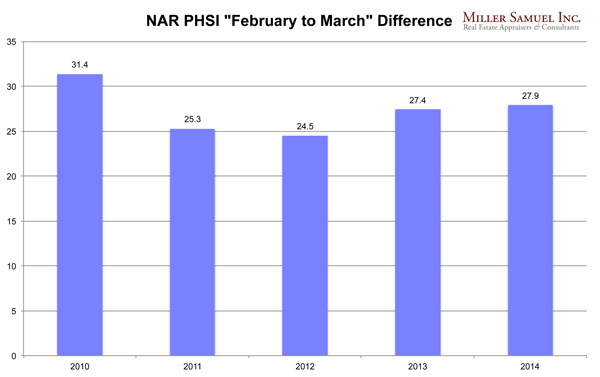 February to March 2014 had the largest increase in contracts than the same period in each year since 2010.